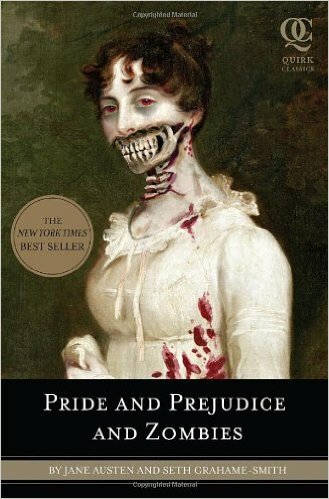 Every time I talk about Pride and Prejudice and Zombies to anyone, their initial reaction is to discredit it because how would Zombies match with a novel in the regency period, right? Well, that was also my initial thought. But then I realised I love Pride and Prejudice, and I love zombies. And I don’t mean I started liking them after The Walking Dead, I mean I was already in love with these guys since Dawn of the Dead, so why not imagine an apocalypse in the regency period? What difference does it make to have someone killing a zombie in the 19th century or the 21st? And if there is a difference, how will it be? Would it be harder to survive? Would people be able to maintain some kind of normal life? Would a zombie apocalypse change society rules, and how? All these questions started coming to my head, so when I decided to read the book my expectations were every high! Since the beginning of the book all I could picture in my mind was Lady Catherine turned into a zombie eating Mr. Collins intestines! Wouldn’t that be a perfect scene for this plot? Mr. Collins would serve her Ladyship until her very end…or even after that. What about Mr. Darcy? Wouldn’t it be extraordinary to see him become a Rick Grimes? To see him fight the walking dead while maintaining his values towards the living? To see him struggle between his duty, his values and what needed to be done in such a scenario? And what would he do to protect those he loved from the unmentionables? I could picture Mr. Darcy fighting this plague side by side with Elizabeth. I imagined him conquer her respect through his honour and fighting skills. And Whickam? I imagined him a coward letting other people die just to escape himself, or to become some kind of Shane. Unfortunately none of this happened, and all my expectations went down the drain. I’m sorry to be so blunt, but there it is. If readers are expecting a zombie book, this is not it. Of course zombies are mentioned, and of course there are some fights and killings, but nothing too exciting or even believable. I think the author tried to imprint some humour into the book, and it worked on some occasions, but it took the excitement of the zombie scenario away. And if readers are expecting a new romance between Darcy and Elizabeth, the book is pretty much the canon story. Nothing new was added. It’s just Pride and Prejudice with some zombies mentioned between some scenes. The story is so close to canon, it became boring and predictable to me as I knew exactly what would happen next. There were minor variations, of course, but they were almost irrelevant to the course of the story. Unfortunately I believe this book was neither a good zombie book, nor a good romance book. It appears the author tried to have both and ended up having none. And that is a pity, because I truly think this could have been a very interesting variation for readers who enjoy both subjects such as me. 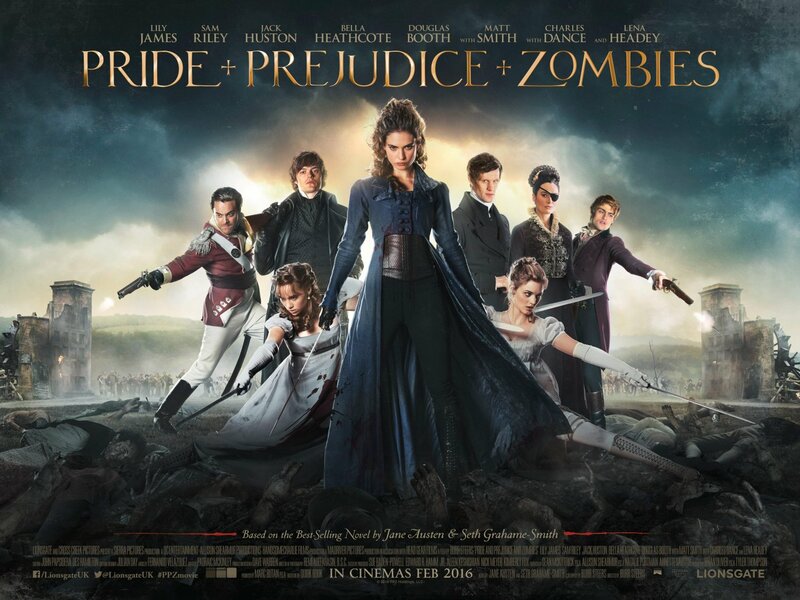 I my opinion, the book could have been interesting if we had seen a variation of Pride and Prejudice, if zombies altered the story somehow, but they didn’t. I wasn’t convinced by this book, but I’m still looking forward to see the movie that will be in the Portuguese theatres in March. Maybe it will be more interesting than the book. Oh Rita, I think the book was a bit better than the movie. I reviewed the movie on my blog, but other readers/viewers had more favorable responses than I did. You may like the book sequel better, Dreadfully Ever After,” and maybe if they make a sequel to this movie, they will do a better job with it. I think the sequel is better, but I understand your points! Always sad not to enjoy a book. I confess that I’m a zombie wimp so I’m still dithering about reading this series. Still giggling about Lady C eating Mr. Collins. Haha! Thank you for this Rita. I probably won’t be reading this book now as I was doubtful before your review. I will probably watch the film when it comes on tv as I have seen some good comments about it. However I would not buy it. We saw the movie today. We didn’t take it too seriously, so we found it entertaining. It’s set up for a sequel. ps. I haven’t read the book. One occasion when I thought the movie was better than the book!